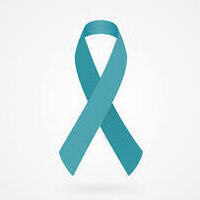 April is Sexual Assault Awareness Month! Let us all become more aware. The Office of Victim Advocacy and Support asks you to please join us on Tuesday, April 16 from 11 a.m. to 1 p.m. at the Rayburn Student Center north patio for our "Resources Trivia" event. This will be a fun event to challenge yourself and your friends to discover what you may or may not know about sexual assault and the resources within your environment. For any questions or concerns about this event, please email us at VictimSupport@tamuc.edu.